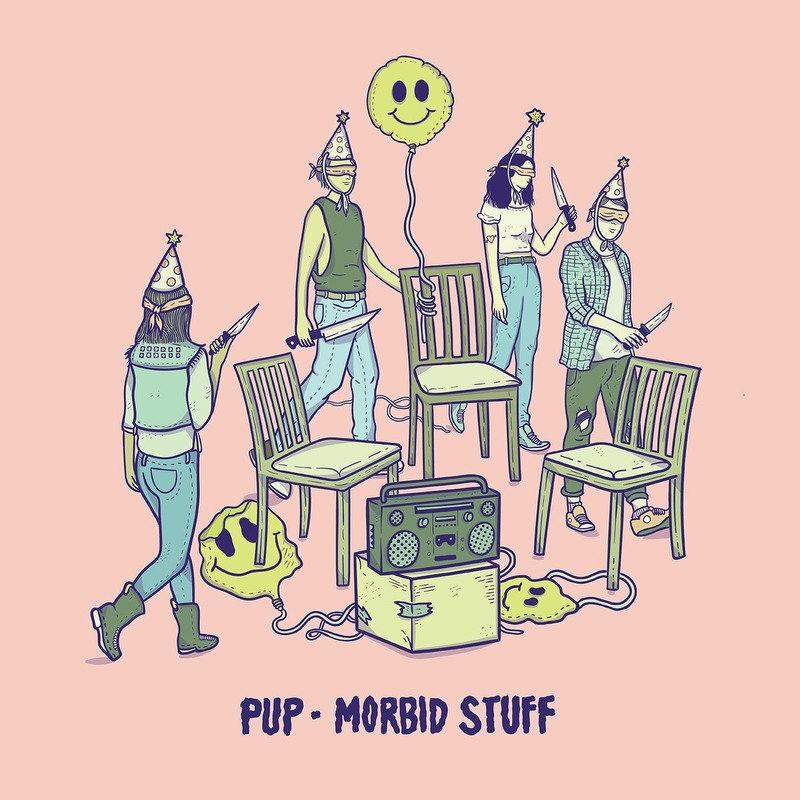 While ‘Morbid Stuff’ is dark, PUP fill the time with gallows humour and infectious pop-punk. Published: 2:16 pm, April 01, 2019Words: Rob Mair. But, while ‘Morbid Stuff’ is dark, it couldn’t really be called brooding. Instead, PUP fill the time with gallows humour and infectious pop-punk that comes alive in a sweaty mosh pit. And, when it’s funny, it strikes gold. “Your little songs are getting way too literal, how about some goddamn subtlety for a change,” muses Babcock on ‘Kids’ – an outstanding moment that considers the meeting of minds between two nihilistic depressives. This ability to turn the lens on themselves shows a considerable amount of self-awareness – something not necessarily associated with pop-punk. But then PUP, have always been different. From receiving a nomination for Canada’s Juno Awards and Polaris Prize (and sending their parents on their behalf to the latter), to donating $1 of every ticket sale for their forthcoming tour to The Trevor Project, they’ve achieved cultural acclaim and given back – even though they remain something of a cult act, existing beneath the mainstream radar. ‘Morbid Stuff’ might change this, however, and from the production (which is stellar) to the more ambitious songwriting and arranging on the likes of ‘Scorpion Hill’ and the riff-heavy dirge of ‘Full Blown Meltdown’, it is a genuine attempt at growth. For the most part, it succeeds too, broadening the appeal from that of a snotty, smart-mouthed, punk band into something much more polished. That it achieves this without dulling the edges of the group’s serrated sound means ‘Morbid Stuff’ should find happy bedfellows in fans old and new.